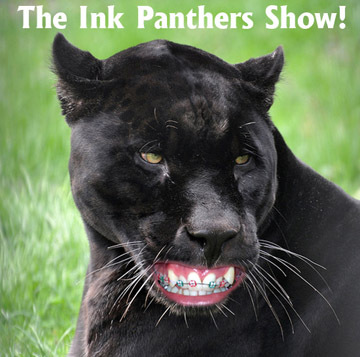 Last night I recorded an episode of the Ink Panthers Show with my pals, hosts Mike Dawson and Alex Robinson, and the podcast is up now for listening! We talk about teeth, middle school, and how I'm secretly a hobo. I think you will enjoy it. Thanks for having me on, guys!